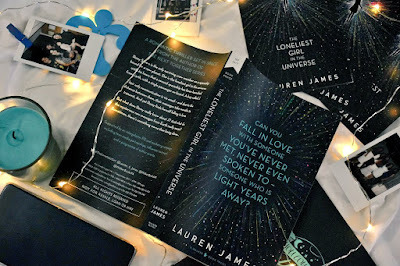 Blurb Description: Can you fall in love with someone you’ve never met, never even spoken to – someone who is light years away? BOOKS SET IN SPACE ARE THE BEST! Ever since I dove into Amie Kaufman and Jay Kristoff’s Illuminae series last year, I’ve thought that one single thought. 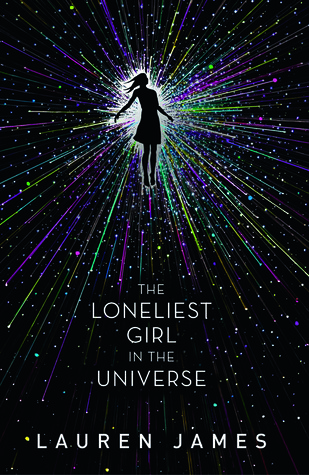 I hadn’t even heard of The Loneliest Girl in the Universe until an ABSOLUTELY beautiful ARC was delivered home from a wonderful bookish fairy at Penguin India and AM I GLAD I GOT THE CHANCE TO READ THIS because it was filled with twists, technology in space, love, family, trust and EVERYTHING AMAZING. This is my first book by Lauren James and I fell in love with the way she told the story. 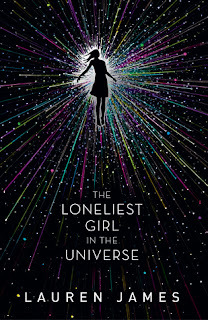 All told from the point of view of Romy Silvers, a sixteen year old girl born in space and is the sole survivor of an accident that wiped out the rest of the population aboard her spaceship heading towards another planet, light years away from Earth to establish a new civilization. The book was told through emails and Romy’s thoughts and I LOVED IT. 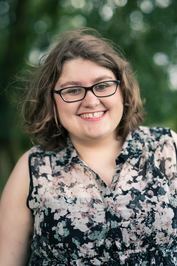 As soon as I read the synopsis for this book, I knew it would be something I loved. A romance across time, space and light years where the messages only reach the other person months or years away. It seemed like something that had never been done before and I was SO SO EXCITED to read it. Plus, how COMPLETELY GORGEOUS is that cover? It’s simple and yet… so pretty? I’ll be honest, this book started off rather slowly. It was one of the two book I took with me on my college trip and it took me four (albeit very busy and tiring) days to get through it. My initial struggle was entirely with the fact that Romy was the ONLY character in the book. There were no other personalities in the book which made it a little monotonous but it picked up very soon. I LOVED ALL THE (SIMPLIFIED) SPACE ASPECTS AND SHIP UPKEEP AND PHYSICS THAT WAS THROWN INTO THIS BOOK BECAUSE IT MADE IT SO COOL. I genuinely felt like I was out these in the vast expanse of space, on The Infinity with Romy living life. Also, there was somewhere in the middle where this book turned from being a good book to one that TOTALLY BLEW MY MIND. The minute Romy spiraled and things seemed stranger with The Eternity, I knew that I was going to love ALL THE TWISTS that came my way. THAT ENDING WAS SO OUT OF THIS WORLD THAT I JUST SAT AROUND GOBSMACKED FOR FIVE MINUTES, UNABLE TO PROCESS THE WONDROUS THING I HAD JUST READ. I could NOT recommend this book enough. There is nothing else like it out there, and if you’re a Space fan, this should ALREADY BE IN YOUR HANDS. The Loneliest Girl In The Universe was OUT OF THIS WORLD and you should dive into it ASAP. 4.5 stars. What are some of your favourite books and movies set in Space? I'm always looking for more recommendations. If you ever got the opportunity to visit another planet that humans begin to colonize, would you you take it? Or would you stay on Earth?